I spent last night at a Harry Potter double feature: Deathly Hallows I at 9pm, and then the Deathly Hallows II midnight premier. Holy hell… it was amazing! Even more awesome than I’d anticipated… a perfect end to the series, in my humble opinion. 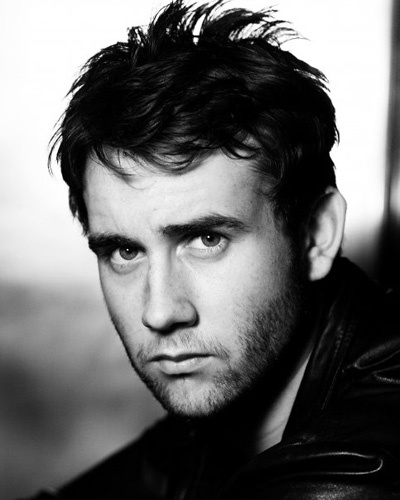 When, might I ask, did Neville Longbottom get so hot? 1) Savvy Authors – Can’t say enough about this one. Fantastic resources, forums, workshops, chat rooms, boot camps, and more… My CPs are members too, and I pretty much live in Savvy Chat while I’m drafting. I can always use the support and the sanity boost great writing friends bring. 3) YALITCHAT – Not to get too cheesy on you, but for me, this is where it all began. About eighteen months ago I had a complete manuscript that had never seen the light of day. Seriously. I had never heard of betas or CPs or gotten any thoughtful, unbiased feedback. Then I stumbled into the First Pages forum at YALitChat and lucked upon one of the greatest CPs ever (Heather Howland). Of course, YALitChat offers much more, so definitely check it out if you haven’t all ready. 4) SCBWI – Not just an online community, of course, but an opportunity for writers to meet up with and get to know others in their area. SCBWI offers mail out bulletins as well as zillions of resources on their website, at their conferences and their more casual social events. I’ve been a member for two years and plan to keep it that way. 5) Oasis for YA – I like the kind of chill, positive atmosphere the girls at Oasis offer. As well as writing tips, book recommendations and interviews, Oasis host a Thankful Thursday meme that’s always fun to reflect on and participate in. Oasis for YA is taking a summer hiatus, but do check it out in the coming months. *And a big honorable mention for Paper Hangover! While I’m still getting to know this community, I love what I’ve seen so far and fully intend to continue following! Three cheers for the weekend! 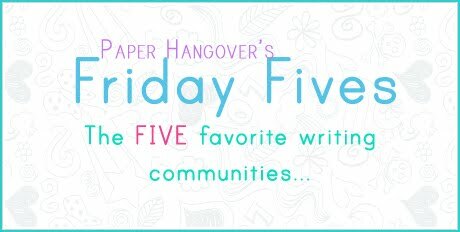 Tell me, what are your favorite writing communities? Also, did you see Harry at midnight? Did you love it? Okay, first of all – completely, 100% jealous you were able to see the HP part 1 & 2, back-to-back! Sooooooooooooooo envious, as my husband is out of town and he’s made me promise to wait for him to get back, before I see it. I can’t guarantee anything. That’s all I’m saying. And, um, THAT’S NEVILLE LONGBOTTOM??? Holy schiz-nit, batman. When in the world did THAT happen? Yeah, he’s pur-dy! Now, on to your list! Great mentions here – I think I’m a member of SavvyAuthors…but it’s been a LONG time! I’ll have to re-check it out! All of your other mentions are awesome – big fan of YAHighway…great group of writerly peeps, for sure! Happy Friday / weekend, Katy! Definitely try to watch DH1 before you go to the theater to see DH2; I’m so glad I did. The transition between Parts 1 and 2 was seamless, but it was nice to refresh my memory on everything that had happened in the first installment. Super envious of your movie night. LOVE the Neville pic. He’s totally handsome! These are great sources- I know some better than others, which is why this topic rocks! Great list! You got some I forgot. There really are so many good ones out there. I agree! It’s hard to find the time to keep up with all of them! You’re SO right, Neville’s HAWT now. And jealous of your double feature! OMG there’s going to be an SCBWI event in. my. town. SOOOOOO excited! I’ve been to one conference before and I adore the supportive and upbeat atmosphere ❤ Awesome picks! Ooh, have fun at your SCBWI event, lucky girl! Thank you for sharing your wonderful thoughts on YaLitChat, we appreciate your support! Aww – thank you so much for the Oasis shout out. You’ve certainly put us in some great company. Wow! Thank you for mentioning Oasis for YA!! I’m one of the Oasis Sisters. We really appreciate your support. 😀 Happy Summer Writing!! Gladly! Looking forward to knew posts this fall. Holy hotness, Batman! THAT’S Neville?! Whoa. YAY for YA Highway! I’ll have to check out the Oasis. Oh – and I saw you joined the WB!!! Double YAY! I know… Oh, Neville. Who would’ve thought?! When indeed. what a hottie. I went and saw HP 7.2 at the drive-in–after two other movies. So I didn’t see it until 2:30 in the morning. But even sick and tired, I was wide awake. What an amazing movie! !